Latest in sustainable housing design trends from around the world. Necessity is the mother of invention, and the global necessity of facing the challenges of Climate Change has unleashed the inventive powers of architects around the world, many of whom are tackling the problem in original and highly creative ways. And yet, as the projects contained in this volume attest, sustainable design doesn't necessarily preclude style and comfort, or even a little bit of luxury. Locations include Australia, New Zealand, US, UK, Ireland, Spain, Portugal, Brazil, Malaysia, Russia, France and India. 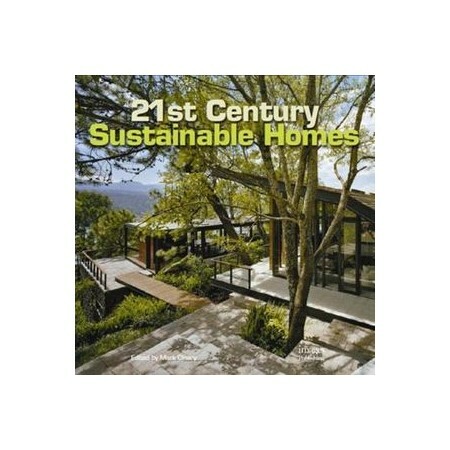 With lush full-colour photography, detailed floor and site plans, and informative descriptions of each house's sustainable design elements, '21st Century Sustainable Homes' takes the reader on a round-the-world journey, traversing a range of climates, to see how today's architects are making the most of traditional and modern design principles and technologies to create more energy efficient houses. The latest in sustainable housing design trends from around the world, providing inspiration and practical ideas for designing more sustainable homes - Features lush colour photographs of visually spectacular and environmentally-friendly architecture - Showcases detailed plans and descriptions of each house and its sustainable elements. 400 col.